Doll House Plans: How-to Build a Doll House. 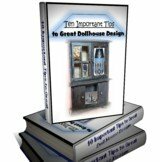 Are you looking to obtain a great dollhouse building plan checklist? That's a great goal to say the least. 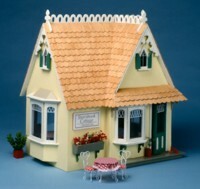 But then again I am a fan of most goals pertaining to dollhouses. We have what you are looking for. Your checklist is here. With our checklist you will be able to plan each phase of creating. Also use this tool as a general idea booster when necessary. Where and when you encounter something extra needed make sure to jot those items down. Making detailed checklists of all areas will definitely help you stay on target and in focus. As you will discover our checklist comes in a convenient printable state also. So you can print it off and use it to start your next project idea. The better your miniature floor plan is, the more you will enjoy every moment of your construction journey. And enjoyment is one of the most amazing components of dollhouse creation anyway. In my opinion it truly is the only one you must have. Using the easy floor plan methods outlined on this page draw up a workable plan for your design in mini. Wherever your miniature pursuits take you, make sure you fully enjoy the journey. I have created this page to help with your decision making process. Learning to start your project without procrastination. Who it is Intended For - whether adult or child, for collectors or play? Will it be Bought as a Kit or Constructed from a Building Plan? What kind of Building Materials will be used in Construction? What Period will it Originate From - modern or antique styled? How many Rooms and Floors will it have? What kind of Roof - hipped or gable? There are so many questions to be asked and choices to be made. A well researched start will help in the success of your construction project. This factor also will help if you intend to sell your project or pass it on in your family as an heirloom. So always start with a great design. instead of a simple, but creative house. as well as the rest of the many various makes and models on the market today. Making your own plans can be an exhilarating process. Where you actually decide to take on the designing phase from scratch on your own. People have developed new careers in making decisions like this. They have found through the process that this is the venue for them. And voila a new career is launched. For them and quite possibly you, they have made a unique choice. One that has endless creativity, enjoyment and peace of mind. Beginning a great design career is exciting. 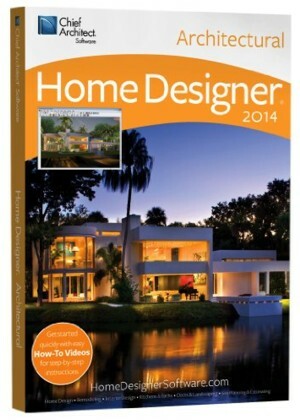 One software program to seek out in the design stage is Home Designer. You can find all the info you need for it here. This is one design program that will help you put your own ideas down on paper. It will even let you calculate the costs. So it is a must have for any would be designer. Either a beginner or a professional. People who may eventually want to build dollhouses as a stepping stone to full house designing may be interested in this superior program. It has a full range of tutorials available to assist anyone at any level. So checking out Home Designer will help you create impressive plans. You will get into just about every topic it would require to make your own dwelling. So your own doll house plans will need to be quite extensive as far as that goes. 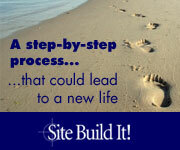 So considering ALL aspects of your building project before you start makes great sense. If you happen to be interested in pursuing creating your structure from scratch, this can be done. Today there are a huge assortment of supplies available. This route does have its pluses. When you think of it, it takes a person into every area imaginable of the creative end of making their tiny dwelling. As well as designing it gives you the ability to choose all items incorporated in your building process. To begin exploring items that are available check out this link. Doing a project from a kit would give you an excellent learning tool. Also it would give you confidence where doing a future project was concerned. Especially in regards to designing your own doll house plans. We have often used projects by others, God bless them, to furnish our own knowledge. Someone else who has been there, done that, which is what a kit is like, lets you in to see their woodworking techniques. If you are confident enough, that knowledge can fuel your own creative mode. Substantially. Learning from life is a great form of instruction. But never copy the designs you encounter, simply see what they have done and come up with your own ideas. Just tell yourself, your designs are amazing, and go from there. 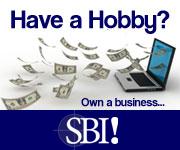 You CAN begin a miniature project today. Imagine Filming a Walkthrough of your Miniature ! A 3D Walkthrough is a series of picture files saved in .avi format that can be played like a movie by other applications such as Windows Media Player. Draw a path in floor plan view using the CAD tools, then direct the program to record a walkthrough along that path.